24/Mar/2015 Posted By admin no comments. Why Use Lambda? The automated deploying and scaling in Lambda will reduce development time and infrastructure costs as only an event will trigger a function, as opposed to having a complete stack running for something that will run infrequently. 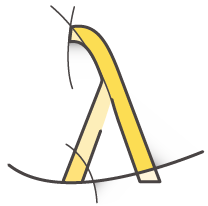 At the same time, there is a trade-off between the flexibility in EC2 and the automation in Lambda. While EC2 offers myriad options in instance size and operating system and allows fine-grained control over compute resources, Lambda will automatically provision capacity and operating system according to the memory allocated to the function. The most far reaching impact of Lambda is that the event-driven nature of the service will force developers to think differently in terms of decomposing a business problem into building micro services. At the same time, the billing parameter which takes into account the time required to complete a function and the memory allocated to achieve it will unfold a whole new way of thinking.